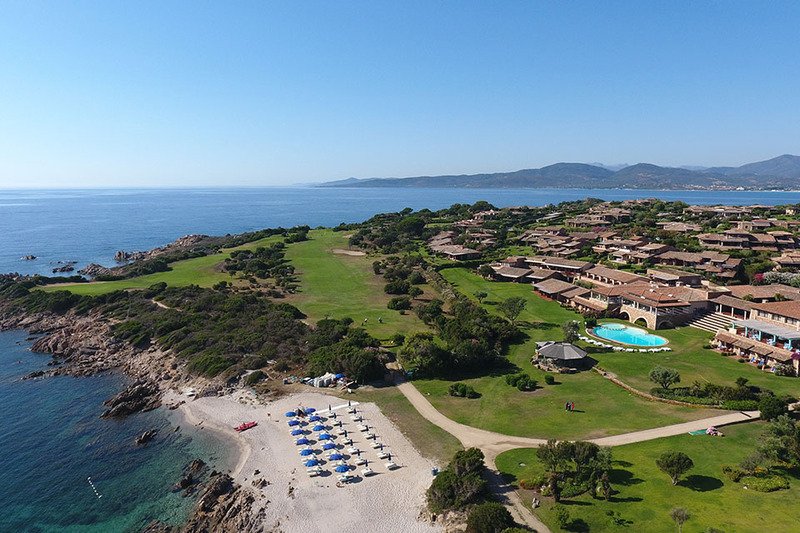 Due Lune Resort Golf & Spa is located in one of the most beautiful spots of Sardinia. 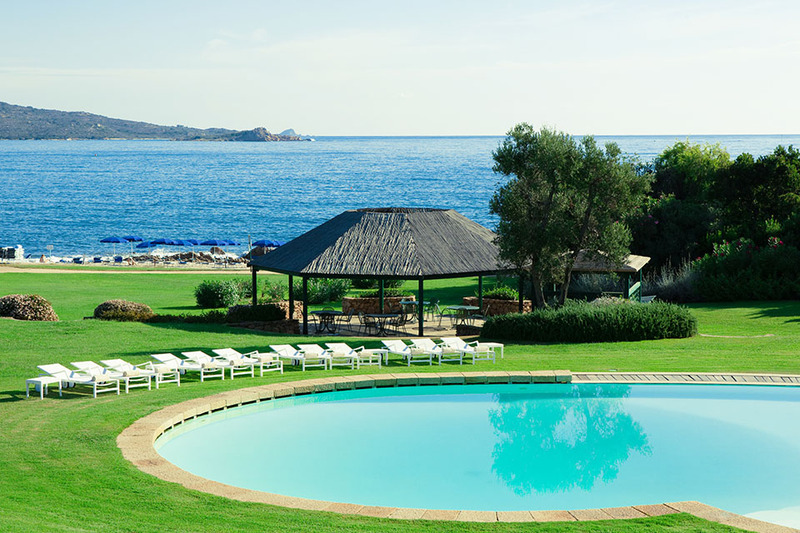 The hotel is directly by the seaside, with 65 double rooms overlooking onto the green, flowery meadow, with air conditioning, TV, telephone, minibar, panoramic restaurant, bar, spa and private beach. The ideal location to practice sports, the most important of which is golf at the Golf Club Puntaldia (50 mt. away from the Hotel). With its 9 hole golf course the Golf Club Puntaldia is unique in Italy for its spectacular and breathtaking panoramic view along the shore.